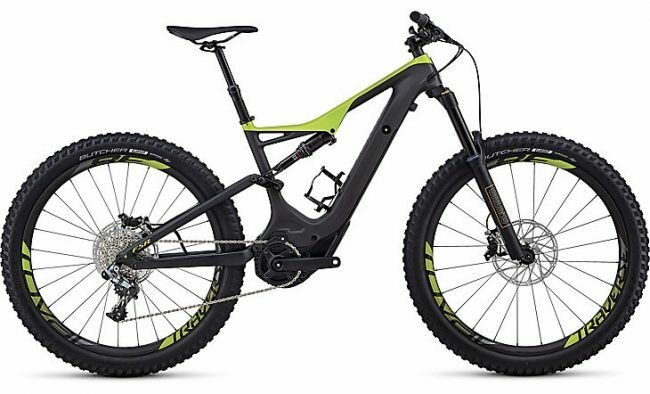 Turbo Levo the best in test – what makes the perfect E-mountain bike? Which is the best eMTB of 2018? eMTBs appeal to an extremely broad target group: some use their eMTB for daily commuting, others for after-work or weekend rides on maintained gravel roads, and others plan to do an electrified alpine traverse or even an action-packed visit to the bike park. The good news is that many eMTBs are jacks of all trades, covering a very wide range of uses. Others, unfortunately, may disappoint with poor spec or nervous handling. The leading E-Mountainbike magazine E-Mountain Bike took 12 high end models without an upper price range and put them thoroughly through their paces. The article clearly explains the sometimes bewildering considerations of buying an eMTB, from the importance of the motor, how much a good eMTB should weigh, the pros and cons of integrated batteries, the benefits of wider tyres, and the all-important price. The great news for us as stockists of the Specialized Turbo Levo, is that the review backs up what we as riders have discovered for ourselves, and that is that the Levo is a formidable mud monster, a fast and responsive MTB on all surfaces and generally a blast to ride. The Specialized Turbo Levo S-Works Carbon is currently the best eMTB on the market – without a doubt the Best in Test! The S-Works Levo, is available from the end of April, and the FSR6 Fattie/29, the FSR6 Comp Fattie/29 and the FSR6 Carbon Comp and the Expert Fattie/29 are available now. Prices start from £3500.